In the new photo book London: Portrait of a City, editor Reuel Golden says he wanted to use images to convey the history of the city and tell it in a compelling way that will sort of surprise people as well. That’s no easy feat when the city in question is one of the world’s oldest. But Golden says he found Londons photographic history was most compelling in three main eras: the Victorian period, the post-World War II era and the swinging ’60s. Images from those particular time periods, according to Golden, best displayed the character of the city, the soul of the city and the personality of the city. Thats not to say the process was simple. To kick the project off, a few thousand photos were compiled, many of which were found buried in dusty drawers from places like the London Metropolitan Archive, which catalogs records of the city. Then came the task carried out by Golden, famed publisher Benedikt Taschen and art director Josh Bakerof whittling down the thousands of images into a manageable collection of photos that exemplified London. Though the book is the latest in a series of city-themed collections (past books have featured New York and Berlin), when it came to picking images of London, the team was especially critical in what they included. They were looking for photos that exuded fashion, a certain kind of cool,” says Golden. “And also you want to show ready identifiable icons. Throughout the pageswhich also feature essays on the citythere are images of London life from the East end to the West end, all of which are invariably both familiar and fresh. Each image symbolizes a recognizable piece of Londons architecture, history, culture and of course, its iconic style, but often in a way that’s never been seen before. The end result is a 552-page behemoth of a book with hundreds of images from anonymous and amateur photographers, as well as the big names of the business like Bill Brandt and David Bailey. article writing submission . Its important to get a good mix of big, important photographers, but also people who just documented London in a totally, totally different way, says Golden. Part of our mission behind these books is to sort of discover lesser known photographers and bring them out to the light of the world. London: Portrait of a City was recently released byTASCHEN. This entry was posted in Contemporary Photography, Uncategorized and tagged Amateur Photographers, Architecture History, Behemoth, Book London, Contemporary Photography, England, Eras, Historical Images, history, History Culture, Images Of London, Josh Baker, London, London Life, London Metropolitan Archive, Manageable Collection, Out There, Photo Book, Photo History, Photographer, Photographers, Photographic History, Photographs, Photography., Recognizable Piece, Reuel, Reuel Golden, Taschen, Time Periods, UK, Victorian Era, Victorian Period, Whittling, World War I, World War Ii on August 21, 2012 by Megan Gibson. Just opened to the public at Saatchi Gallery is the eagerly anticipated Out of Focus, an exciting survey of contempoaray photography featuring a kaleidoscopic range of work with artists using photography in diverse and innovative ways. Artists featured include Adam Broomberg and Oliver Chanarin, John Stezaker, Mitch Epstein and may others in what should be a fascinating and diverse look at the state of the medium. A catalogue to accompany the exhibition is published by Booth-Clibborn Editions with an essay by William E Ewing, former director of the Muse de l’Elyse in Lausanne. SEO Experts search engine marketing . The exhibition runs until 22 July 2012. This entry was posted in 1000 Words Photography Magazine Blog, Contemporary Photography and tagged Amateur Photographers, Broomberg, Contemporary Photography, Current Trends In Photography, Documentary Photography, Focus Photography, International Perspective, Kaleidoscopic Range, Major Photography, Millions Of Images, Mitch Epstein, Olaf Breuning, Oliver Chanarin, Photographer, Photographers, Photographs, Photography Exhibition, Photography., Saatchi Gallery London, Sense Of Place, Terrain Vehicle, Thorny Topic, Traditional Boundaries, Using Photography, Visual Stimuli on April 25, 2012 by Tim Clark. Bryan Formhals, along with James Turnley, has created a new magazine, LPV (la pura vida), that will be published three times a year. Issue 1, Fragments and Collisions, is on sale now through MagCloud, you can also download a free pdf, or you can purchase a year’s subscription for all three issues. I have no doubt, based on the first issue and the extensive background of Mr. Formhals that LVP will be a significant publication. Bryan is a digital media consultant and also photo-centric wunderkind. He founded La Pura Vida Gallery, which evolved from his networking and involvement on Flickr where he curates monthly on-line exhibitions. He also writes a well-read blog, co-founded at photography collective, strange.rs, and produces his own work. Bryan is a champion of the Flickr photography community and has worked hard to bring exposure and validation to many photographers who use Flickr as their main platform. 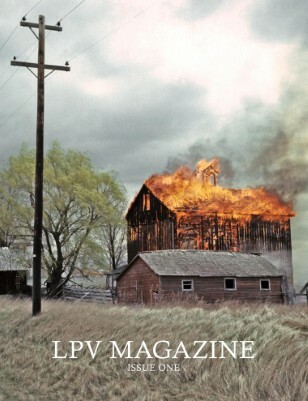 “LPV is an online and print magazine dedicated to contemporary documentary and fine art photography. Our aim is to provide a platform for emerging and amateur photographers to showcase their work in interesting ways. In our essays, we explore the evolving nature of photography in the digital age and how social media and technology are creating new opportunities for photographers and publishers. We source our photography primarily through the ecosystem we’ve built on Flickr, through contributor submissions and a healthy dose of serendipity. The first issue, Fragments and Collisons, will include features of photographers Blake Andrews, Chuck Patch, Mark Alor Powell, and a terrific group show. With an LPV subscription you’ll receive all three published print issues for 2011 and will be supporting our initiatives while you do it. Also included will be exclusive content and entry into three book giveaways during the year. You’ll be invited to our private Facebook Group where we’ll be conducting Q & A sessions with some photographers featured on the site as well as established professionals. Confirmed so far are: Blake Andrews, Chuck Patch and Joao Canziani. We’ll be adding more during the years as well. This entry was posted in Contemporary Photography, L E N S C R A T C H and tagged Amateur Photographers, Collisions, Collisons, Contemporary Photography, Fine Art Photography, Flickr, Free Pdf, Group Show, Issue 1, La Pura, Line Exhibitions, Lpv, Lvp, Media Consultant, New Opportunities, No Doubt, Photographer, Photographers, Photographs, Photography Community, Photography., Pura Vida, Serendipity, Terrific Group, Wunderkind on June 2, 2011 by Aline - lenscratch.blogspot.com/. Please click here for more information and how to submit. As you’ll, see we’ve extended the deadline for applications to 28 March. This entry was posted in Uncategorized and tagged 1000 Words, Amateur Photographers, Applications, April 1, Creative Juices, Fez Morocco, Riad, Swedish Photographer, Taster, Video Clips on March 9, 2011 by Tim Clark. 1000 Words is very pleased to present its second workshop with highly-acclaimed Swedish photographer, Anders Petersen, in Fez, Morocco (27 April – 1 May 2011). We are asking both professional and amateur photographers to submit entries for this rare and challenging experience. 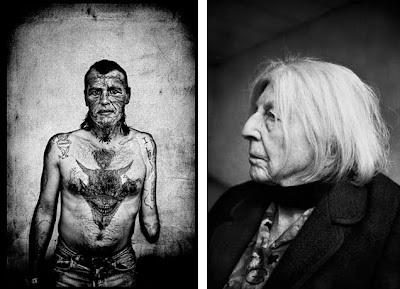 The importance and achievements of Swedish photographer, Anders Petersen, cannot be overestimated. As a social realist he has had a significant influence on a bitter/sweet attitude that strives towards a `subjective documentary´ approach to photography. Taught by Christer Strömholm in the 1960s, Anders has continued and expanded the necessity for photographers to embark on personal diaries of the life, places and people that they experience. He has published more than 20 photobooks from the highly regarded and classic, Café Lehmitz (1978) to the more recent collaboration with JH Engström with From Back Home (2009). He is represented by Galerie VU in Paris, Marvelli Gallery in New York, Gun Gallery in Stockholm and Rat Hole Gallery in Tokyo. The organisation´s flagship is 1000 Words, an online magazine dedicated to highlighting the best contemporary art photography worldwide. It reviews exhibitions and photobooks and publishes interviews, essays and multimedia. We are committed to showing the work of lesser-known but significant artists alongside that of established photographers in the aim of bringing their work to a wider audience. Often incredibly diverse in terms of subjects, concepts, styles and techniques, yet by covering a wide spectrum of genres 1000 Words intends to make us reconsider the contemporary photograph. Released quarterly, the magazine attracts over 140,000 unique visitors from more than 75 countries every month and in May 2010 the 1000 Words Blog was ranked at number 3 in The Top 25 UK Arts & Culture Blogs in a survey carried out by Creative Tourist. Yet 1000 Words is much more than just an online magazine. It is the first step in our concept. 1000 Words also operates a programme of exhibitions and events including four annual workshops in Fez, Morocco as well as talks, portfolio reviews, prizes and awards. In July 2010, we launched the 1000 Words Collection, in partnership with Troika Editions, offering limited edition photography prints at affordable prices from artists Simon Roberts,JH Engstrom, Bruno Quinquet, Sarah Small, Trinidad Carrillo and Virgilio Ferreira. The 1000 Words Workshops are organised by Tim Clark, editor-in-chief and director at 1000 Words and Michael Grieve, 1000 Words deputy editor and photographer represented by Agence Vu. The 1000 Words Workshop takes place in an authentically restored riad situated in the medieval medina, at the heart of the beautifully evocative city of Fez, Morocco. The workshop will be an intense experience lasting five days between 27 April – 1 May 2011 and will consist of 12 participants. The medina is a vibrant labyrinth that will permeate all the senses. Surrounded by the Atlas Mountains, it offers a visually stunning backdrop for this truly unique workshop. We are looking for a diverse range of participants who understand the work of Anders Petersen and feel that their own photography will benefit from his guidance. Depending on individual needs the daily structure begins with lunch at the riad and during the afternoon Anders will encourage group participation in looking, critiquing and developing ideas and image making. In the late afternoon participants will begin to photograph. The week will end with a slideshow of the work created. Undoubtedly it will be a very creative and highly rewarding experience for those who wish to push themselves. The cost of the workshop will be £1250 for 5 days. Once participants have been selected they will be expected to pay a non-refundable deposit of £350 within two weeks. Participants can then pay the rest of the fee according to deadlines (see below). Participants are encouraged to arrive the day before the workshop begins for a welcome dinner. The price includes tuition from Anders Petersen, a welcome and farewell dinner, lunch everyday and snacks during the afternoon, 24 hour help from the 1000 Words team and an assistant/translator with local knowledge. Participants will be expected to make their own travel arrangements and find accommodation, which in Fez can range from £150 upwards for the week. We can advise on finding the accommodation that best suits you. Remember that most of your time will be spent either at the riad or shooting. For photographers using film we will provide the means for processing and a scanner. Photographers shooting digital will be expected to bring all necessary equipment. All participants should also bring a laptop if they have one. Every effort will be made to accommodate individual technical needs. We require that you send 10 images as low res jpegs and/or a link to your website, as well as a short biography and statement about why you think it will be relevant for you to work with Anders (approx 200 words total). Submissions are to be sent to [email protected] with the following subject header: SUBMISSION FOR 1000 WORDS WORKSHOP WITH ANDERS PETERSEN. This entry was posted in Uncategorized and tagged 1000 Words, 1960s, Amateur Photographers, April 1, Art Photography, Contemporary Art, Documentary Approach, Fez Morocco, Flagship, Gun Gallery, Hole Gallery, Jh, Magazi, Marvelli Gallery, Personal Diaries, Photobooks, Rat Hole, Significant Influence, Social Realist, Swedish Photographer on December 15, 2010 by Tim Clark.